The private tour was provided by YOLO Taiwan International Company Limited. The tour guide was about 15-20 minutes late in picking me up at designated location. She did send me a message that she would be late and a company representative also gave me a call. I booked this tour expecting the tour guide/driver giving suggestions as to itinerary of sites to see. This was not the case. I am glad I did my research because the tour guide asked me what places did I want to see. I was also disappointed that she did not give any history or information about the places that I requested to see - Taipei 101, Elephant mountain, National Palace Museum, Sun Yatsen Memorial Hall, National Chiang Kaishek Memorial Hall, Longhan Temple. In most of the sites, she would drop me off and agree on meeting me by a curbside in 20-30 minutes then proceed to other sites. She said that parking was difficult so we had to do it this way. I would have appreciated it if she was able to come with me to tell me about the history of the attraction and take pictures. She also dropped me off at Yong Kan St and recommended the pancake with green onions and bubble tea. It was good but I had to eat my lunch on the street. In short, this was not the type of private custom tour that I expected. In fairness, the tour guide was nice and courteous. She did mention that she just started working for this company. Alan with YOLO Taiwan was an excellent guide! 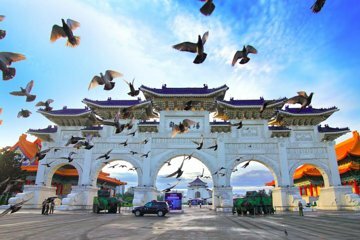 Super knowledgeable about the history and sites of Taipei and the country of Taiwan. The tour was a really good pace and Alan is very flexible to customize the day for your preferences. Very comfortable car, and Alan’s English is terrific. I highly recommend this tour! Had a wonderful day exploring Taipei thanks to guide Jack Chou who was kind, easy going and very knowledgeable. He had a comfortable clean car and was an excellent driver. Visited different interesting locations and had a delicious lunch. Highly recommend this tour and guide Jack Chou. This was hands down the best tour we have ever been on! Our guide Jack Chou made our trip to Taipei one that we will never forget! He was very knowledgeable, kind, accommodating, patient, personable, down to earth, and everything you can ask for in a guide and in a person overall! He covered all the aspects of our requested locations and he planned an entire itinerary for us that was perfect! 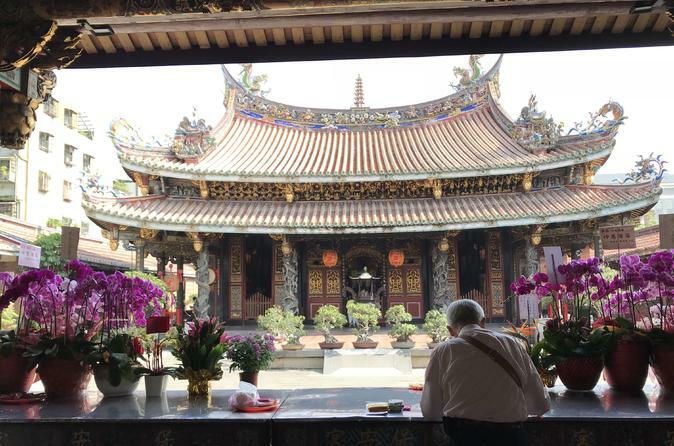 From a trip to the coast, a local spot for the best beef noodle soups, to a quick city tour, and a tour of the Temples! We highly recommend this tour and if you can, please request Jack Chou because he is beyond Amazing! STRONGLY RECOMMENDED.Our guide MICHAEL took care of us in every and all little detail we may had needed. He drove us to the most interesting and must visit places in Taipei. Even the ones that do not appear in the guides. The timing of our visits were perfect and always placing us in the right place for the best shots. The tour is excellent and MICHAEL is a must. No doubt !! Our driver Vincent was beyond great - I can't think of any way it could have been better. Gave us help in planning the places we wanted to see most. Squeezed in a temple that I wanted to see. What a convenience to have a car waiting for you when you are ready go. Ride was very comfortable even with a bags in back. Highly recommended. Our guide Roger was kind, patient, attentive and knowledgeable. Our first time in taiwan, we saw sights that we would have never thought about seeing if it were not for this tour! We traveled with 2 older kids 10 and 12 who loved the tour and had favorite parts of the day. It was memorable and a good way to see many sights in a short amount of time. This was an excellent tour! We booked this trip the day before and were not sure how much we could see of Taipei we could cover in just one day. We had the best day! Our guide knew so much information and worked hard to make this a very personalized tour. We were amazed by everything we saw and learned about Taipei. He tailored the day to just what we wanted to see, and was an excellent driver with nice vehicle. I will definitely use Viator again.